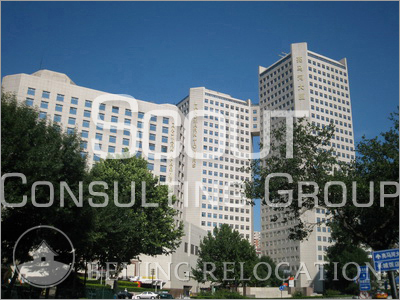 The prime business district area, close to Lufthansa, Hilton, Great Wall Sheraton. Landmark Office Tower has 35,000 sqm of office space. The building also has a business center, a bank, a post office, a parking garage, a clinic, a hotel, apartments, a ticketing center, a fitness center, a beauty and hair salon, and restaurants. Building facilities include a fitness center, a bank, a post office, a beauty salon, a shopping area, cafes, and many restaurants.